At Vesco ToyotaLift, Customer Assurance Manager Greg Smith, A team-Vesco associate since 1983, considers your down time our down time. Our standard response is four hours or less. Service is the name of the game and we learned how to play quite a while ago. Our Service Department opens at 6:30 am, before many of our competitors are out of bed. We have two technicians on duty 24 hours a day, 7 days a week via our 24/7 service line. 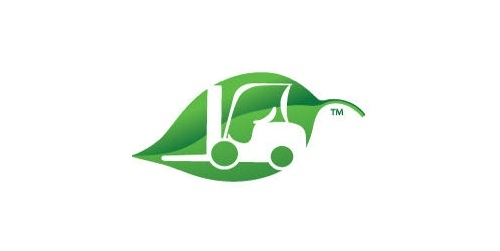 Vesco provides comprehensive, on and off-site service for everything from trouble shooting to tire pressing, and complete pick-up and delivery services. If you need a part, we'll get it to you. If you need a mechanic, there's a good chance we already have one in your area. Our factory trained pros and fully-equipped service vans keep our service department dependable and in high gear. 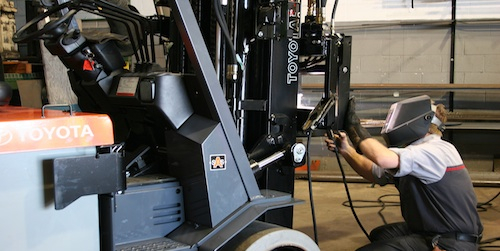 Our technical staff (including Greg) are long-time employees, so if you purchased a forklift from us 10 years ago, chances are the same mechanic who worked on it then is still working on it now. That means you have someone in your facility whom you know and who knows your equipment. Technicians are stationed in Hickory, Asheville, Statesville, North Wilkesboro, Old Fort, Hendersonville and throughout western North Carolina. Our technicians utilize state of the art communications equipment to remain in constant contact with Greg and each other. 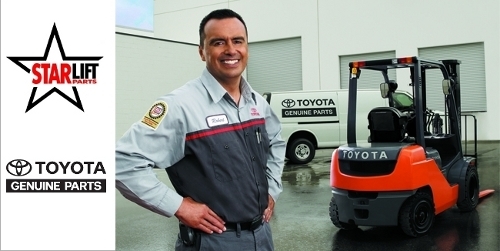 Our technicians are Toyota Master and ASE certified. Our vans are well stocked with standard parts and we make hydraulic hoses on-site. We have a state-of-the-art portable welding unit, and make all types of repairs and fabrications on site from our Field Support Unit.